With growing hype surrounding the capabilities that WebRTC can provide the enterprise and consumers alike it should come as no surprise that many are trying to get this burgeoning technology to reach its full potential. Developers are tasked with creating applications to expand capabilities, and open the door to a rich, real-time world. One such group, Kurento was started in 2010 at Rey Juan Carlos University in Madrid in response to several students taking up projects in the real-time multimedia space. Since its beginning, the open source development framework is seeing an ecosystem of researchers, individual contributors, final end users and companies expand globally. Kurento is devoted to creating an advanced media server. 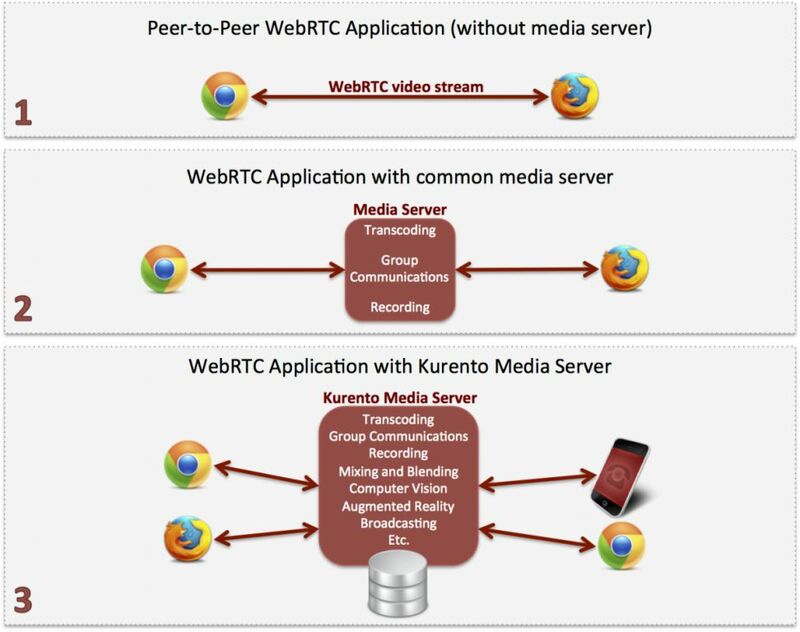 Kurento’s Luis Lopez told TMC Group Editorial Director Erik Linask at the recent WebRTC Conference & EXPO V that the team is, “Devoted the creation of an advanced media server.” Since its inception, Lopez and company have seen how much they can really do with the open source framework. “Our media server is capable of adding things on top of the media. So we are not only transporting, we are also enriching and transforming” Lopez stated. Kurento is providing capabilities related to both the content and telco industries. Developers are the prime target to leverage the fruits of Kurento’s labor. Use of the API allows developers to create real time applications. The next step is the ‘cloudification’ of the media server, and in 2015 we should expect to see an exposed infrastructure in the clouds operable with Open Stack.